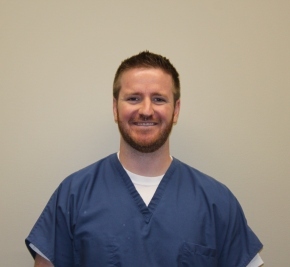 Thank you for selecting the endodontic office of Dr. Patrick F. King. We are an endodontic specialty practice committed to providing the highest quality of care using state-of-the-art technology. Patient education is very important to us. We will make every effort to fully explain the procedures, the risks and benefits involved as well as any alternatives. Our ultimate goal is a happy, pain-free patient and we believe that taking the time to explain the treatment will help alleviate some of the fear and anxiety traditionally associated with endodontic treatment. The office has been designed to provide the most comfortable and stress-free environment combined with cutting-edge technology and treatment. Our staff has been trained to create a pleasant and courteous atmosphere. 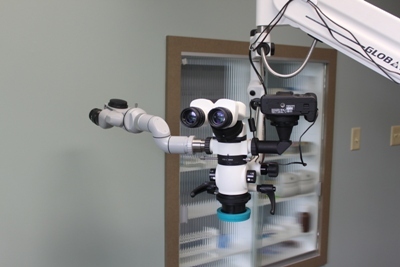 We use the latest technology including the surgical operating microscope which offers increased magnification and illumination for all procedures. Whether we are evaluating the outside surface of a tooth for a crack, locating small or calcified root canals, removing a broken instrument from a root canal, ensuring the canals are thoroughly cleaned, or filling the root canal systems, the microscope benefits treatment. We use digital radiography which significantly reduces radiation exposure and eliminates the hazardous byproducts. We utilize digital record keeping and the Internet for the convenience of our patients and referring doctors. We encourage you to pre-register at this web site to save you time when you come to our office for your appointment. Please call our office with any questions. I never had a root canal before, but it wound up being virtually painless and without any problems. Dr King kept me informed about what he was doing the whole time. I'm as happy as I could be about the result. I previously have had 2 root canals before having an additional one this past month performed at Dr. King's office. The previous two were not ranked in my top ten favorite things to do. However, the experience with Dr. King and his staff was surprising not horrific. It was actually pleasant. No water spraying in your face and running down your chin and neck! Very little pain, and only with the Novocain for numbing. Someone from the office called to follow-up after my last appointment to make sure I was doing all right. I have recommended Dr. King and his staff to several other people, sharing my experience, and will continue to do so. This was definitely a low impact set of visits! I experienced a courteous and professional presence with a personal flare. The treatment was complete and accurate, as your would hope to get with any doctor visit. I was very pleased with the services received and made to feel very much at ease each time I visited the office. The staff was professional and courteous. I felt relaxed and as if I was in good hands each time I visited the office. I would recommend Rock River Endodontics to anyone requiring such services. Dr. King explained the process and gladly answered my questions. It is my pleasure to furnish testimonial about the services received at your facility.